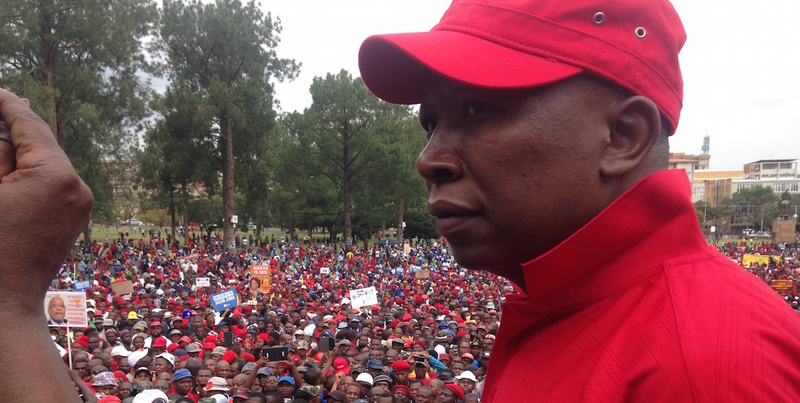 The Economic Freedom Fighters (EFF) in KwaZulu-Natal say the list confirmation process was a success, Â ahead of the 2019 national elections, however, a court case to nullify the provincial structure have exposed the ructions within the party. Itâ€™s only a few months before national elections and the EFF in KZN have declared that the lists verification process has been concluded satisfactorily. Speaking to the media on Friday, EFF national executive committee member Marshall Dlamini said the party was all systems go for the elections as the process had been concluded. â€œWe have concluded our list confirmation process which took place in Bloemfontein over the weekend. The national list committee ceased with the matter making sure that they do the vetting to check that there are no people with criminal records or have been found with any wrongdoings by the party,â€ he said. However, in October last year, some disgruntled members of the EFF filed papers before the Pietermaritzburg High Court, calling for the provincial conference – which elected the current provincial leadership – to be nullified. The members allege that certain delegates to the August conference were bogus. According to The Mercury, the aggrieved members alleged that bank statements were forged to make it look as though branches who were not in good standing had paid their fees, with which they said 76 of 82 branches were bogus. This has since caused tensions within the party, with those accused of impropriety ready to challenge the court case filed against them by their fellow comrades. Speaking to the Daily Vox, political analyst Ralph Mathekga said unlike with parties such as the ANC, lists verification process for the EFF would generally be an easy one considering the leadership style within the party. â€œThe EFF and the ANC have similar culture, so, usually there would be competition as to who gets on that list. The issue with the ANC is how do you finalise it given that there are some characters that are on the list that some members of the ANC might not be happy with, and then some the public might not be happy with. â€œAnd when you talk about integrity within the ANC, there are some people who are on the list but whose integrity might not be fully intact although those people might not have been found guilty of anything yet, but their names keep coming up when it comes to impropriety,â€ he said. Mathekga also said the difficulty the ANC would face in this regard would be removing such people as there would be concerns of factionalism where some people would think they are being removed because they donâ€™t support a certain individual. â€œI donâ€™t know how the ANC will work around this but with the EFF, it is never an issue. EFF is run by Julius Malema and those who are worried are being shown the door, because thatâ€™s how it works in many cases. â€œA lot of EFF members have left the parliament because once you here of disgruntled members holding a conference within the EFF thatâ€™s usually their time out, and we never hear of them again, they face expulsion. So, the EFF internally is so tightly controlled that I donâ€™t think there would be any problems with finalising the list,â€ Mathekga said. The case is expected to come before the court on January 04, 2019 at the Pietermaritzburg High Court.